The 7″ Culprit Water Dragon offers a new lizard option that you can be excited about! 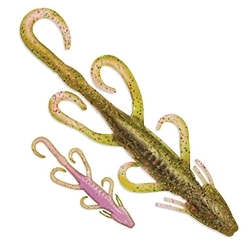 The Water Dragon has unique features to a lizard bait that will be a mainstay in many tackle boxes. A unique head and tail design top a list of features to help catch you fish!